Baz Luhrmann's eye-popping and ear-grabbing movie musical extravaganza MOULIN ROUGE! kicked off the modern big screen tuner renaissance when it blazed onto screens in 2001. Highlighted by unforgettable leading performances by Nicole Kidman and Ewan McGregor, the hit-stacked score for the film boasted a bevy of the most iconic popular songs of the 20th century - The Beatles, The Police and Nirvana to Elton John, David Bowie, Madonna and many more - imbuing the property with instantly recognizable cultural touchstones that tantalizingly tug at the heart and eardrum. Grossing nearly $180 million over the course of its theatrical run, the jukebox spectacular was an immediate hit, taking home Academy Awards for its art direction and costume design besides its multiple nominations, including Best Picture. And, ever since, entertainment prognosticators have been asking when - not if - it would come to the stage. With today's official announcement of a Broadway opening planned for 2019, the dream has become a reality. 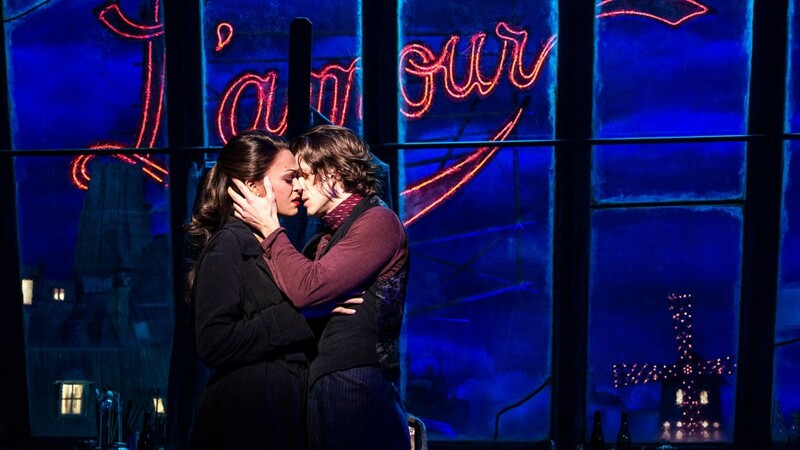 Boasting the directorial talents of visionary helmer Alex Timbers, the stage iteration of MOULIN ROUGE! will once again feature the leading cast members and production team that presented the out-of-town tryout of the show earlier this year at Boston's newly refurbished Emerson Colonial Theatre. Tony Award winner Karen Olivo essays the role of Satine made famous in the film by Nicole Kidman, along with Aaron Tveit, Danny Burstein, Tam Mutu and Sahr Ngaujah among the corps. Musical supervision, orchestrations and arrangements will be headed up by Justin Levine, significantly expanding and updating the catalog of pop hits elemental to the enterprise. Among the fresh additions to the songstack are earworms by OutKast, The Rolling Stones, Lady Gaga, Katy Perry and Adele, while also boasting the best-loved sonic selections from the film - legendary karaoke anthem "Come What May" included. Opening night is planned for July 25, with previews beginning on June 28 at the Al Hirschfeld Theatre. Will MOULIN ROUGE! repeat its gigantic success on the Great White Way and establish itself as a viable entertainment entity on the level of the internationally adored feature film? Will Olivo, Tveit and company satisfactorily fill the shoes of the stalwart silver screen ensemble eternally etched in our cultural consciousness? Is the world ready for a whole new take on one of the most celebrated big screen movie musicals in history? Time will tell, but judging by the glowing reactions of audiences and critics alike during its pre-Broadway engagement earlier this year, it seems that, indeed, it can can-can.